It’s a real problem. Knee pain affects millions of Americans. 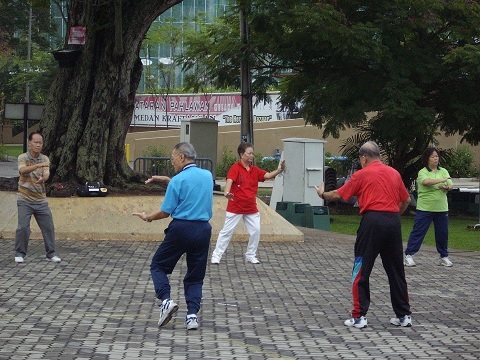 At highest risk are the elderly and the overweight. Seniors face greater knee problems typically due to osteoarthritis, although other factors may also play a part, like injuries. The overweight population has another issue. Their knees are bearing more of a load than they should. 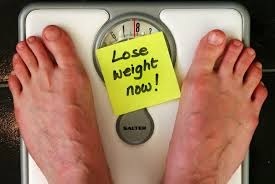 Clearly, the best practice for overweight individuals is to lose weight. 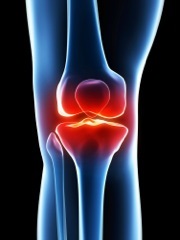 Unfortunately, those who suffer knee pain often are in too much discomfort to exercise. Engage your health care team, especially your physical therapist. They will work to give you a list of approved exercises and modifications that will increase your range of motion and decrease your pain. Find what works. Don’t give up and just go sit on the couch. Continue to try small amounts of physical activity to see what you can tolerate. Build up your endurance. If you feel good after walking for 15 minutes, build up more each day. Try to be at 30 minutes within a week, and add 5 minutes each week after that. Always choose the low-impact option. Jumping jacks and running in place will be too jarring on your knees. Your physical therapist can show you low-impact modifications where you never jump, but still build up muscles. Fitnessblender.com has thousands of fitness videos, which typically contain modifications for low-impact. Pay attention to all of the muscles that support the function of the knee. Stretch them before and after your work out. Roll your ankles, point and flex your toes, bicycle your quadriceps, do some calf lifts, stretch your iliotibial band (which is a tendon that runs along the outer portion of your hip and leg). Get those thighs moving. The front of the thighs (quadriceps) and the back of the thighs (hamstrings) need to be very, very strong to give your knees a break. Any exercise that utilizes these muscles that you can tolerate will be beneficial. Women, in particular, can benefit from exercises that strengthen the hamstring, as weak hamstrings contribute to a higher percentage of knee issues in women than in men. Bridges and weighted hamstring lifts are two such exercises. Be wary of certain exercises that can exacerbate knee problems, like squats, burpees and excessive jumping. Your knees are complex and yet fragile. Preserve them for as long as possible by getting to and maintaining an ideal weight and staying physically active. If you’re trying to get motivated to lose weight, think about your knees. The sheer numbers of knee replacement surgery have skyrocketed. In fact, the number of knee replacements has doubled in the past decade. More worrisome is that the number of knee replacement surgeries on patients younger than 65 has tripled in the same time frame. There are some possibilities as to why this is occurring, including aging baby boomers as well as positive word of mouth and advertising regarding the surgeries. But experts are circling around this theory: the increased obesity rate of middle age adults is driving the deterioration of our knees. In a database called Function and Outcomes Research for Comparative Effectiveness in Total Joint Replacement (FORCE-TJR), information is accumulated regarding total joint replacement surgeries from orthopedic surgeons in 22 states. The latest data from FORCE-TJR revealed that younger patients were more likely to be obese than patients over age 65 who underwent knee replacement surgery. In fact, the average body mass index (BMI) of the middle age patients in the study was 33. A BMI of 33 falls into the obese range. Furthermore, this is the average BMI which means that roughly half of the participants have an even higher BMI. 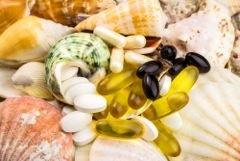 Being overweight puts stress on all joints and can exacerbate osteoarthritis. Excess weight can cause an erosion of cartilage surrounding the knee. In addition, fat cells are believed to produce inflammatory cytokines that contribute to arthritis. Overweight patients are particularly vulnerable to anterior knee pain, which is knee pain at the front of the knee. 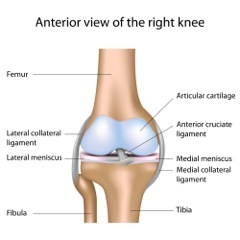 Anterior knee pain can include pain upon waking up, pain when walking after a sedentary period, difficulty walking up and down stairs, stiffness and soreness around the knee area and a general sensation of instability when standing upright. Overweight patients may have other disease processes that can make a knee replacement surgery more complicated like diabetes, poor circulation and cardiovascular issues. Perhaps most troubling, some surgeons will not perform knee replacement surgery on morbidly obese patients, whose BMI is over 40. Losing weight, even a fairly minimal amount can drastically reduce knee pain. An osteoarthritis study (the Framingham Study) showed that a 5% drop in weight among the participants improved joint pain by 18%. 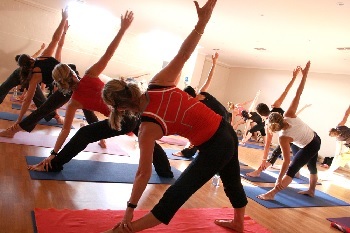 One of the components to effective weight loss, of course, is increased exercise. Unfortunately for many patients with painful knees, some forms of exercise can be impossible. Physicians recommend swimming and water aerobics for these patients, as these exercises put far less stress on aching joints. Please consult your health care team about any knee pain issues that you have and before you start any exercise regimen to alleviate them. If you’re trying to stay fit and walk more, you have probably heard multiple messages about parking far away to force yourself to walk and foregoing the elevator in favor of the stairs. Whether it’s steps to the beach, the steps to the basement laundry, Rome’s Spanish Steps, or steps onto the bleachers at your favorite baseball field, sometimes you just can’t avoid the steps. But what if it hurts to climb or descend stairs? Typically, people who suffer discomfort from climbing stairs have weakened leg muscles, especially the quadriceps muscles in their thighs. This, combined with poor cardiovascular conditioning often causes people to be short of breath or plain tired when they climb the stairs. The good news: if climbing stairs wears you out, keep doing it. For most people, the repetitive exercise of stair climbing will actually build up your quadriceps, increase your endurance and improve your cardiovascular conditioning. We don’t recommend that you go from a totally sedentary lifestyle to running up the stairs of your nearest skyscraper, but certainly climbing several flights of stairs a day can only be beneficial, if your medical condition allows such exercise. Going down stairs uses your muscles in a different way. 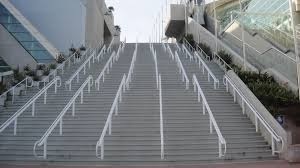 In addition, even a minimal amount of arthritis in the knee will often evidence itself as you descend the stairs. There are a few remedies that you can try to make your climbing down stairs less painful. 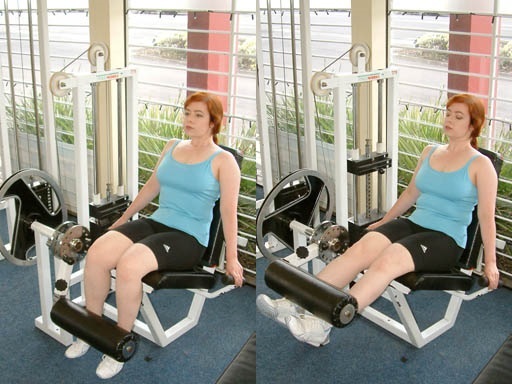 · Build up your quadriceps. If your quadriceps are weak, then the downward movement of your legs puts more pressure on your knees. You can build up your quadriceps through climbing stairs as well as other exercises, including leg lifts lying on your back. · Move around a bit more. 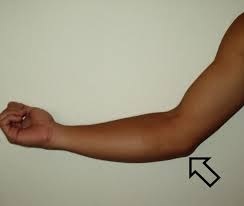 If you are quite sedentary, you can become stiff in lots of joints, and your knees are quite susceptible to this. · Turn it around. Now we don’t mean go up the down staircase. But what we do mean is to face backwards and descend the stairs that way. You have to be holding onto the rail and you have to scan your surroundings beforehand to be sure this is a safe move (and we don’t recommend it in crowded stairways), but walking down the stairs backwards puts far less stress on your knees. Please consult your health care team regarding the stairs in your life. You may be able to utilize physical therapy or occupational therapy to conquer the stairs.